As part of the partnership, OPRO will become the official mouthguard of the International Basketball Foundation, supporting their work through the provision of mouthguards to ensure each participant playing the sport has the best protection for their teeth. The deal will run in unison with the IBF’s goal to initiate positive change through basketball under its ‘Basketball for Good’ strategy. This year, their projects will help 11,000 youths from 63 countries through various avenues including mini basketball for 5-12-year-olds at grassroots level, as well as country specific projects and international 3x3 basketball tournaments incorporating youth leadership workshops. 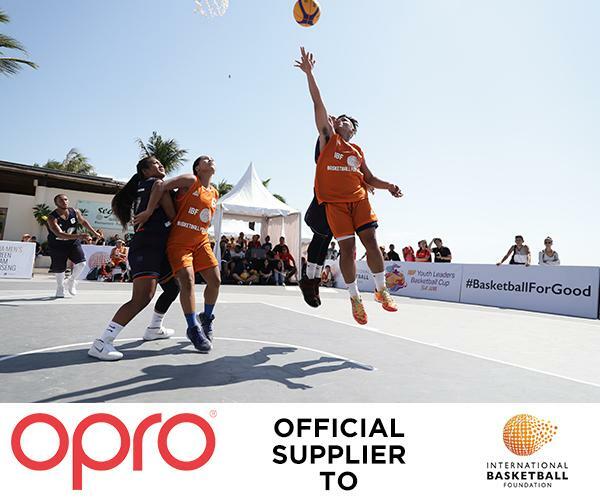 As part of the partnership, OPRO will also be recognised as a technical partner of the FIBA Equipment and Venue Centre, with its products available to all national federations, clubs and members to facilitate safe participation without compromising on protection. IBF President Sheikh Saud Ali Al-Thani is very glad to be partnering with OPRO, “good Health and Well Being is one of the SDGs that the foundation aims to address and together we will be able to get closer to reaching this goal. Furthermore, as our target group are youngsters of both genders, we are sure that we are focussing on an issue that is of much concern to parents”.